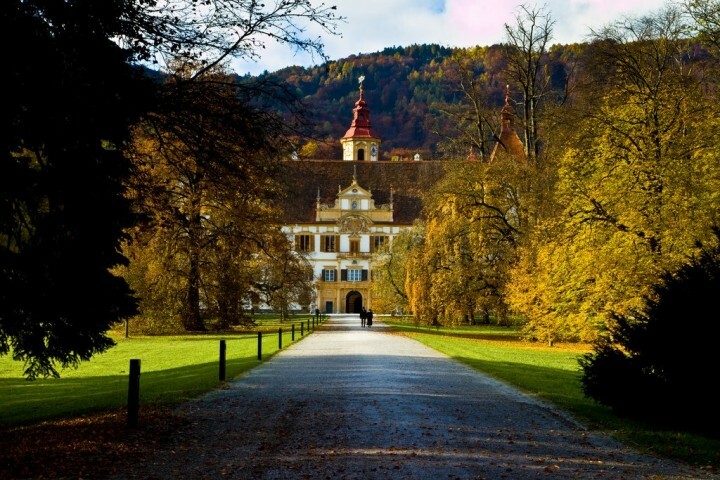 Things to do in Graz! 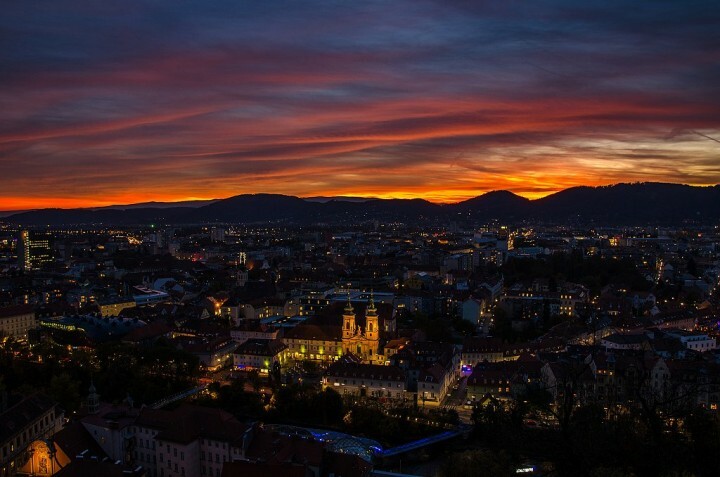 When it comes to culture, there are very few destinations that can beat Graz at its game. The second-largest city in Austria is their cultural hotspot combining a well-preserved medieval hub and modern architectural innovations. Graz weaves the best of the past and the present together so seamlessly and tourists are invited to learn and explore all of it. 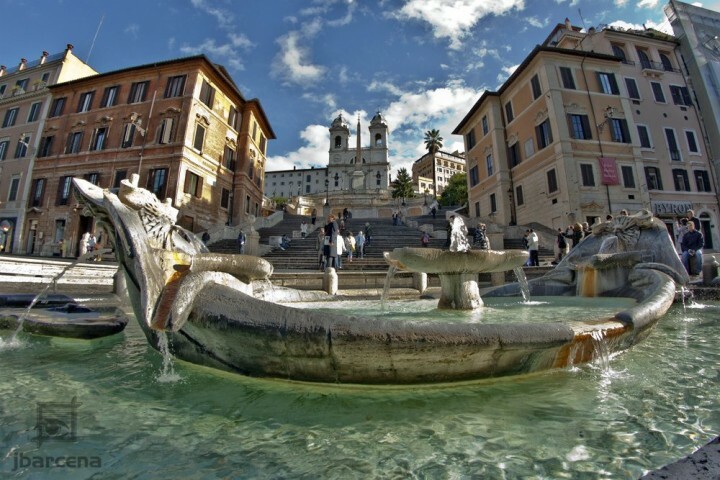 No other is better preserved than this UNESCO World Heritage Site. 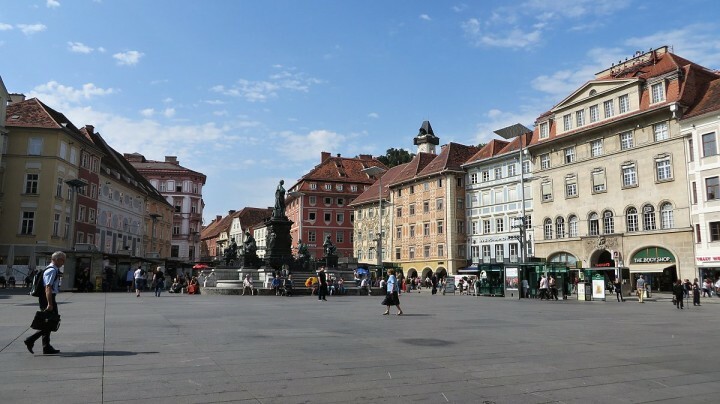 Named to the prestigious list due to its historical architecture, Graz’s pedestrian-friendly Old Town is rich with secret courtyards and narrow alleyways – it’s a whole other world entirely. The precious structures located within Old Town are each worthy of praise, but even just wandering around this heritage site is a complete escape from reality already. 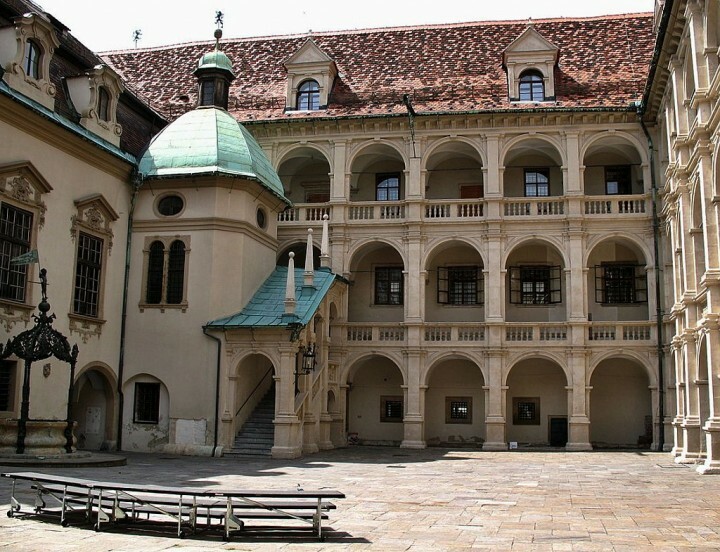 The provincial government of Styria calls the 16th century Landhaus home. 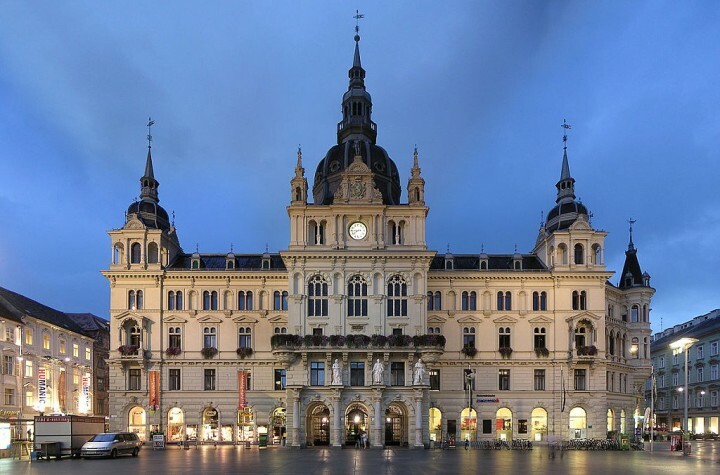 Widely regarded as one of the most stunning buildings in the country, the Renaissance-inspired building is a true gem shining at the heart of Graz. Step out onto the beautiful courtyard where occasional musical performances light up the architectural masterpiece even more. The south side of the main square (Hauptplatz) is dominated by the town hall, originally from the 16th century, featuring lots of towers. 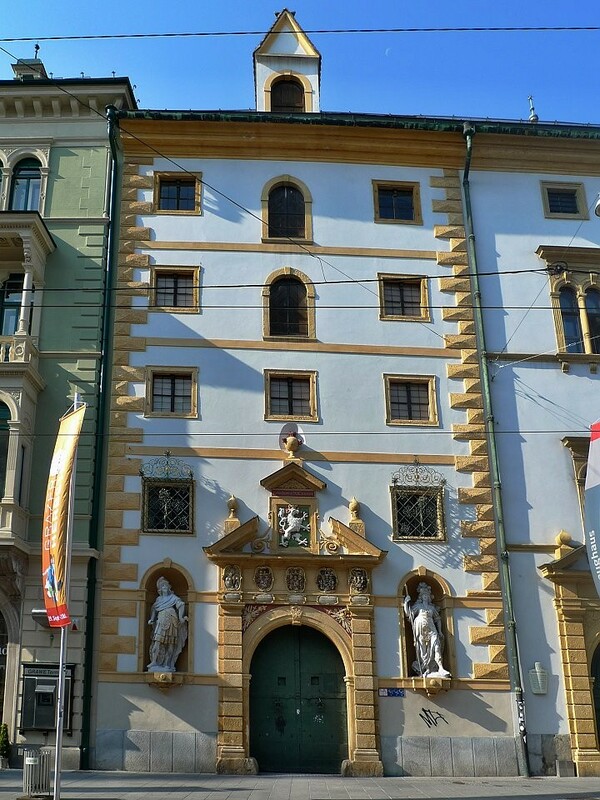 A unique tourist destination in the wonderful Graz is the Styrian Armory, which has been the center for the province’s weapons for centuries. It is the largest collection of weapons in the world. Weapon enthusiasts and history buffs will enjoy getting a glimpse of period arms and armor spanning countless of wars won and lost. 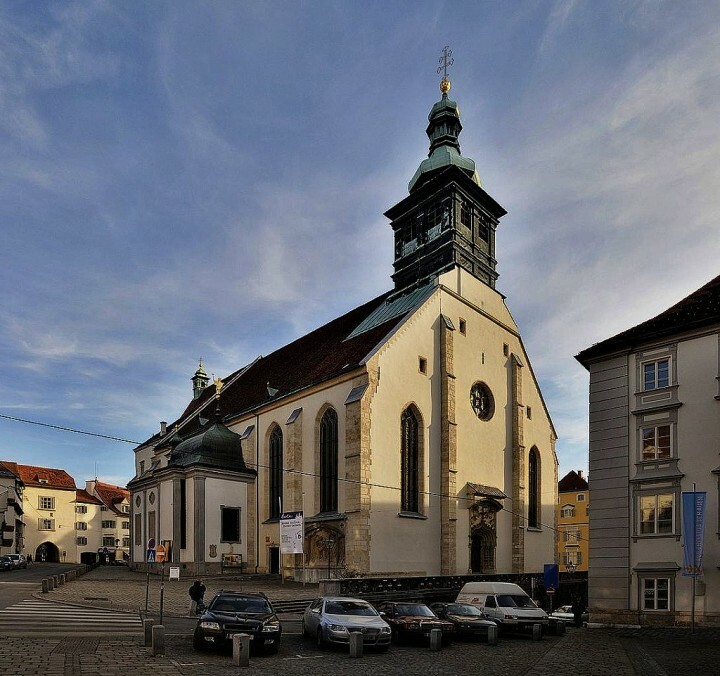 The city of Graz is famous also for popular attractions like Cathedral. 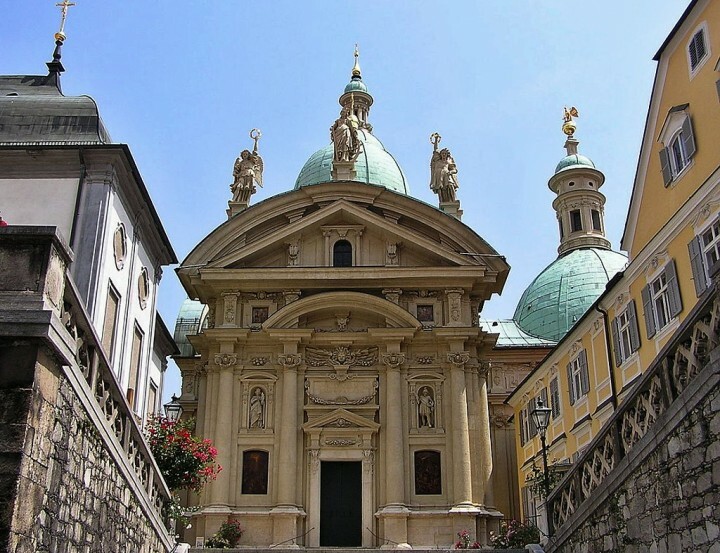 It was built during the reign of Emperor Frederick III and is the third highest Austrian Cathedral. This impressive neo-Gothic brick building from 1881 is 109.6 meters high. Mausoleum of Emperor Ferdinand II is another interesting building depicting the transition of Baroque into Renaissance in which are the remains of Emperor Ferdinand II. 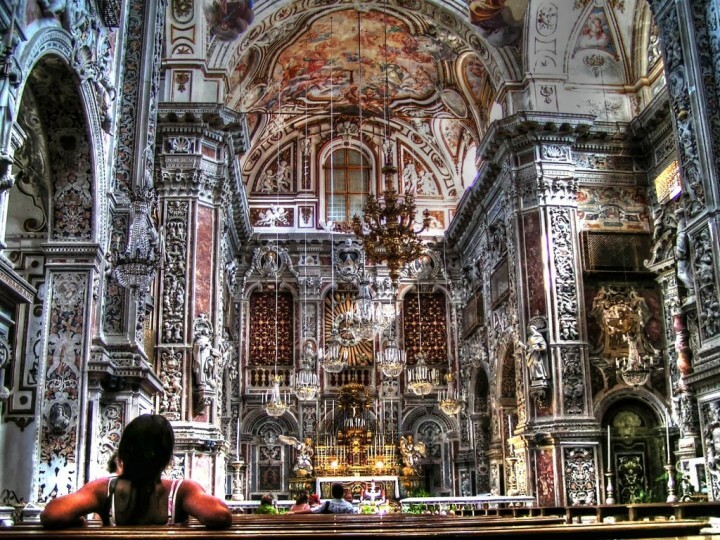 The construction of this building started in 1614 by Italian architect Giovanni Pietro de Pomis and was completed in 1638. Weaving up the Schlossberg hill is a small price to pay for the sweeping views of Graz it offers. Explore other attractions in the area like the 16th century belfry and a miniature railroad for kids. 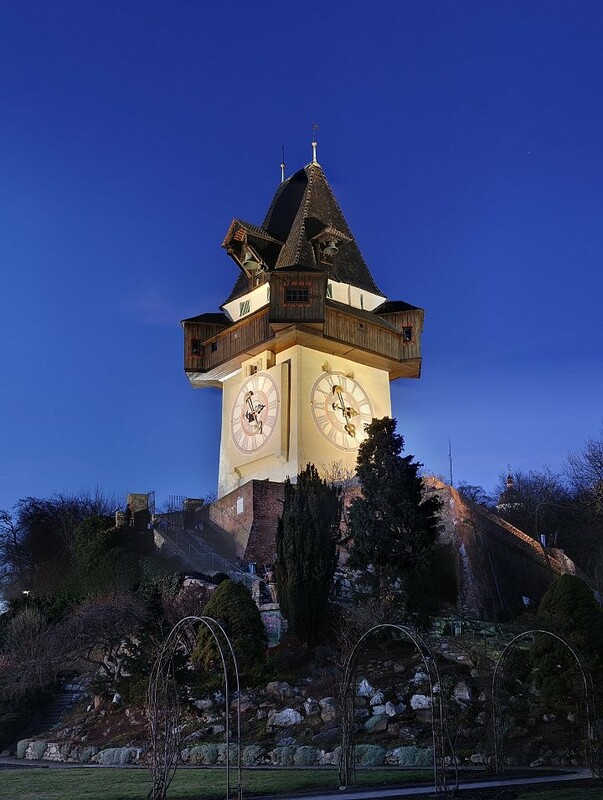 The Clock Tower built in 1561 still stands in Schlossberg as the city’s most famous landmark. The spectacular Eggenberg Baroque palace is an intricately designed structure that was heavily inspired by astronomy and the Gregorian Calendar with 365 windows (for each day of the year), 31 rooms on each floor (for each day of the month), 24 state rooms with 52 doors (for each week of the year) and four corner towers (for each season). One of the many highlights is the collection of premium artwork housed in the estate. The true spirit of Graz is the city’s commitment to ground-breaking art and architecture from the past and present. 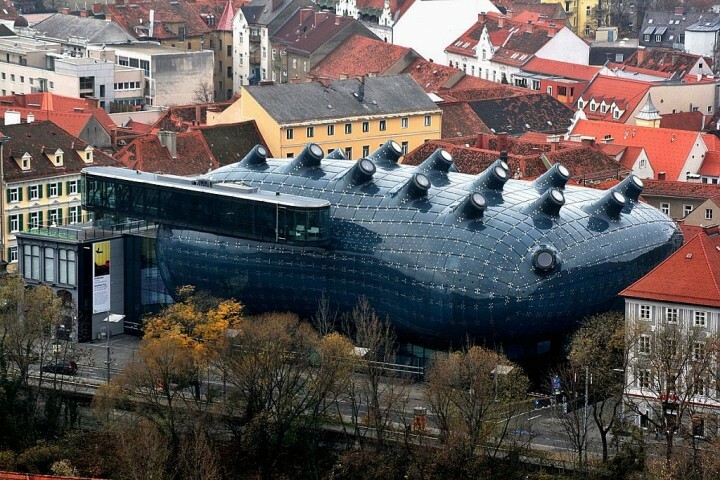 The Graz Art Museum is a space dedicated to contemporary art with exhibits that regularly bring in art pieces from all over the world. It was developed to commemorate the city being named the European City of Culture. 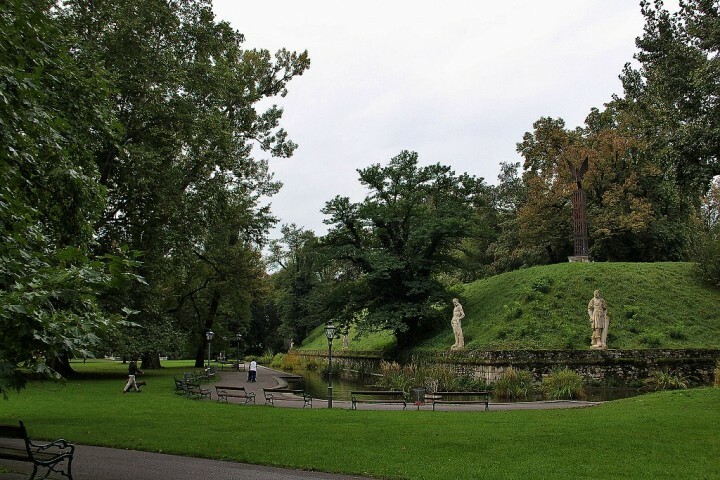 Make your way to one of the city’s most significant parks, the Graz Stadtpark. 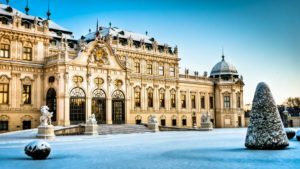 The park centerpiece is the Emperor Franz Joseph Fountain surrounded by famous figures of important Austrian personalities and set against a backdrop of pretty trees and landscaped grounds. Locals gather to play and chat on the grass or one of the cafés. 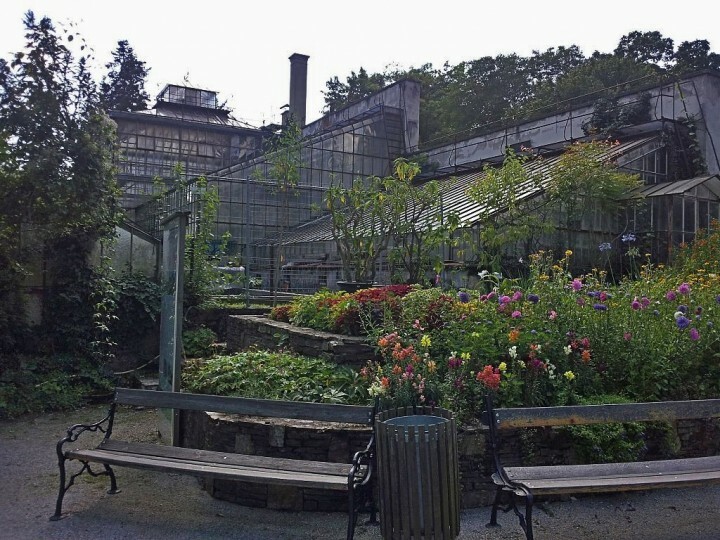 Nestled in an elegant neighborhood, the Botanical Gardens is another pocket of green among the quaint cobblestones of the city of Graz. Exotic flora and vegetation from the farthest parts of the globe bloom here in four different climatic zones, which visitors can explore to their heart’s content. 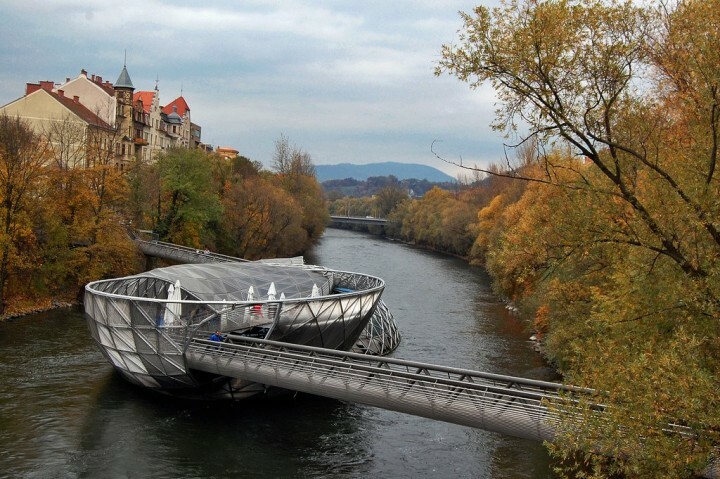 The steel construction stands out in the middle of swirling water, but also in the midst of Graz’s existing structures that revolve around medieval inspirations and centuries old ornaments. The Island in the Mur is there to bring the people closer to the river, offering a sanctuary where you can have a cup of coffee as you enjoy a different perspective on the city. 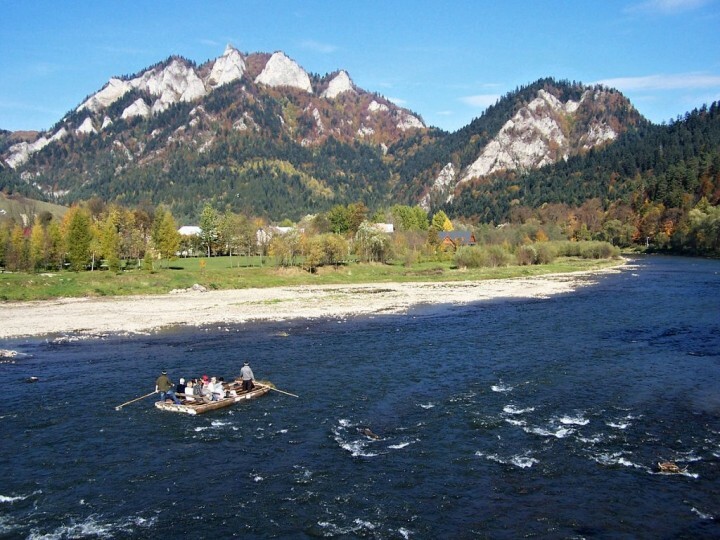 Island in the Mur, Things to do in Graz, Austria by Juan A.
I was in Graz this saturday on Christmass fair. Very beautiful city. But I had only a few hours to explore it. I would like to come back in spring or summer.